A new temporary art exhibit plans to highlight the impact of gentrification on D.C. and the world. The exhibit, which is named Hedonist Buddhist, opened to the public Saturday night at 1921 8th Street Northwest in D.C.'s Shaw neighborhood. 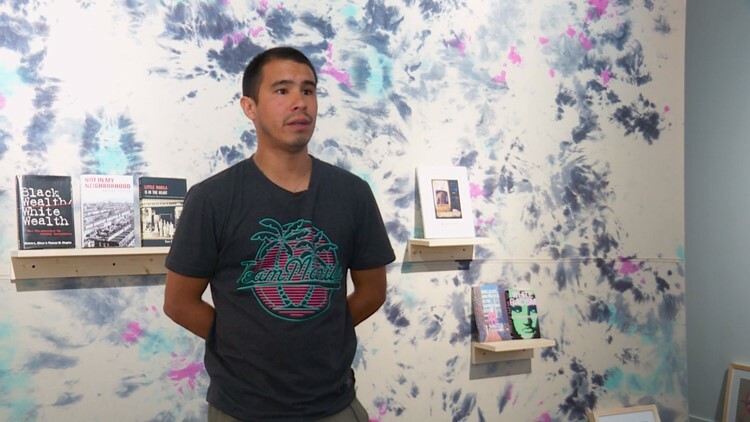 Curator Joseph Orzal said the purpose of the exhibit is to explore how the imposition of power during colonialism is similar to the process of gentrification currently underway in many modern day cities. Orzal, who grew up in D.C., said his hometown is unrecognizable when compared to the city of his childhood. "They've bulldozed the entire community [Shaw] and built a new community on top of it," he said. 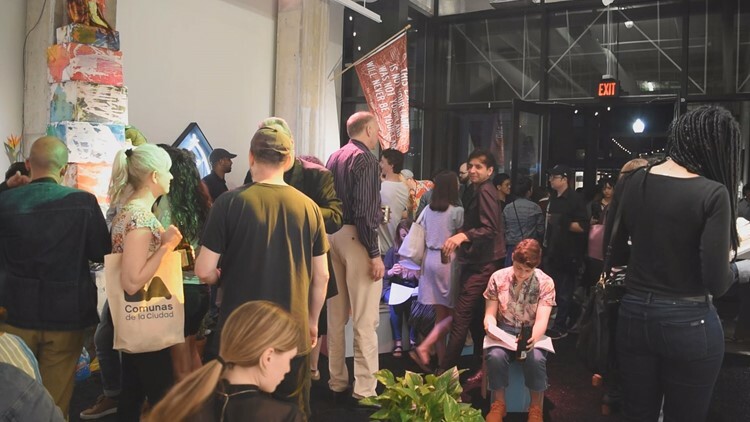 Hedonist Buddhist curator and DC native Joseph Orzal said he is hopeful the exhibition will push back against the narratives on gentrification created by local developers. The exhibit, which includes art and books about gentrification and colonialism, will also be a meeting space for discussions and musical performances. It is coincidentally located inside the same building as The Shay Apartments. The Shay found itself in the middle of a city-wide controversy last week when one of its tenants reportedly complained about go-go music playing from the nearby MetroPCS store at Florida Avenue and 7th Street NW. District natives felt the complaint was an example of new residents working to change the D.C. of old. "I purposely wanted [Hedonist Buddhist] to be in a gentrified condo space, because I believe that the people who should hear this message are most of the people who live in the condos," Orzal said. 'Hedonist Buddhist' opened to the public Saturday night in DC's Shaw neighborhood. Hedonist Buddhist was put together as a part of a thesis project for Orzal's curatorial practice at the Maryland Institute College of Art (MICA). The exhibit, which features work from eight different artists across the country, was funded by MICA, the De Novo Gallery and an anonymous donor. The Washington Project for the Arts also helped host the temporary display. Orzal said he just hopes the exhibit will be able to enlighten D.C.'s newer residents about the true effects of gentrification. "I think they believe a narrative that is constructed by the city and developers and I want to push back against that through art," he said. The exhibit will stay open until June 23 and is free to the public.